At my own volition I attended the recent South East Australia Transport Strategy Incorporated (SEATS) meeting at Nowra where thirty Representatives from north of Melbourne to Wondilly in NSW and inland from Bombala, Cooma, ACT, Palarang and Goulburn met to determine freight transfer by road and air. The meeting was addressed by Andrew Constance, the State Treasurer on its 20 year history of assisting Government and was praised for its ability to contribute to the economic development of NSW. As part of the meeting I made a presentation on our intentions for the Port of Eden, the Merimbula Airport and on Imlay Road south of Eden as a vital link to the hinterland for the future growth of our Region. As a result we were well received with an invitation to list our priorities for roads and bridges within our Shire by the end of November 2014. The State Government is presently assessing bridges throughout NSW that need attention and replacement – 16,000 overall and 10,000 affecting local government and 2,000 of which are timber bridges. This Shire has 227 bridges including 57 timber bridges and is the longest coastal Shire in NSW. SEATS has been invited by the NSW Government in listing those bridges to be declared fit for the purpose for financing in 2015 and this Council needs to be part of that submission. I therefore recommend the Bega Valley Shire re-join SEATS at a modest cost of some $4,318.00 pa and gain the benefits available for our future growth. 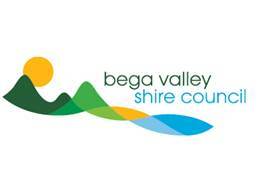 That the Bega Valley Shire Council re-join South East Australia Transport Strategy Incorporated (SEATS) in order to progress the expansion of the Port of Eden; the Merimbula Regional Airport and Imlay Road as a major transport link to the hinterland for the purposes of growing the Economic Development of the Bega Valley Shire.